I'll arrive for my first winter soon and wonder if there will be any leagues I can join and how to find them other than visiting every course. I've been surprised by the lack of 'leagues', as I've stated in other threads. I'll be watching this thread with you to see if I've missed anything. Outside of getting a neighborhood group together about the only other option is to play on men's day on Tuesday either executive or championship courses. Championship courses require you to be a priority member. 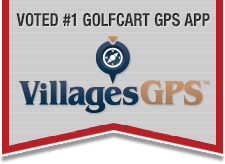 Find the information on golfthevillages.com. I'll certainly look into priority membership. There is a club you might want to check out called The Villages Golf Club. They sponsor events both on and off campus. They are listed in last Thursday's Rec News under Golf. Where in NH are your from? I'm a Keene native although we haven't lived there since 1987, and we are both UNH grads. Grew up in Exeter. Live in Swanzey now and know Keene pretty well. I saw your request for league info. I live in De la Vista and would like to join a “league” or group. Any luck finding a group. Let's keep this thread going. Maybe some of us could get something regular going, even if It's not an official "league".